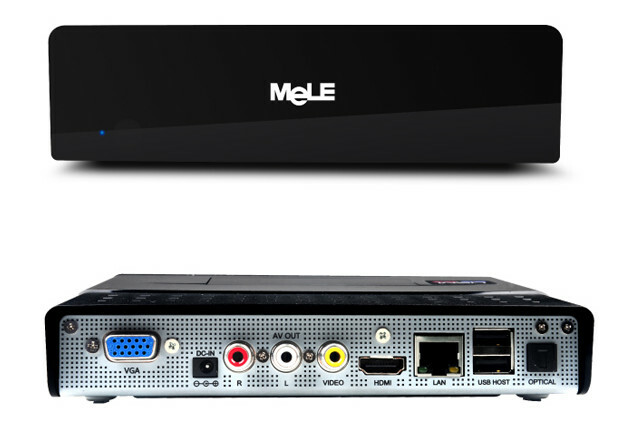 MeLE A1000 is an Android TV box powered by Allwinner A10 Arm Cortex A8 processor that was launched in 2012 with Android 2.3, and was featured prominently on this blog, as arm-netbook then linux-sunxi community was working on porting Linux to the platform at that time. I discovered the device after the launch of the first Raspberry Pi board, and its subsequent unavailability due to extreme demand, and was looking for an alternative which became MeLE A1000, since there was an active around the box that included a real SATA port as a bonus. Why am I writing about this today? 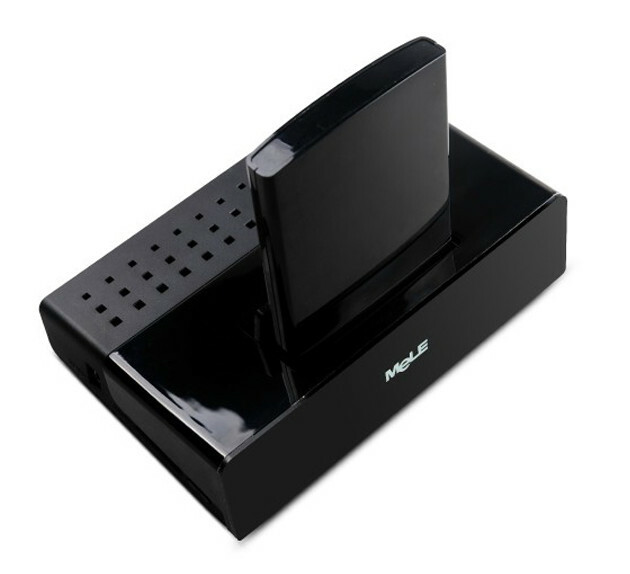 Because the TV box just showed up in GeekBuying new arrivals feed for $29.99. The device ships with a 2.5″ SATA cover, an AV cable, a power adapter, a remote control, and a user’s manual in English and Chinese. When I first reviewed the box is ran Android 2.3, but since then firmware has been updated to Android 4.0. This probably does not matter, as I’d assume anyone buying one today would either run Linux, or purchase it as a collector item. In some ways, MeLE A1000 helped kick-start the community around Linux on Allwinner work, and paved the way for cheap Allwinner solutions, and communities we have today like Orange Pi and NanoPi boards, or Armbian and RetrOrangePi firmwares.